FiSH arranges a variety of activities on a weekly basis, all with the aim of combating loneliness and enabling elderly people to maintain their independence for as long as possible. The links below will take you to further information about the services provided... and also the opportunities that are available to help others within the local community. FiSH offers a one-to–one befriending scheme for people who, for whatever reason, may be feeling lonely or isolated. Both face-to-face visiting and telephone befriending are offered depending on individual requirements. People requiring befriending are often referred to us by GPs, social services and other care organisations, whilst others approach us directly asking if we can help them. For further information click here. Do you enjoy playing Chess? Scrabble? Table Tennis? Board games? They can be a really effective way to keep your brain active while enjoying good company. A new group is being started at East Sheen Baptist Church on alternate Wednesday afternoons and FiSH clients and volunteers are invited to join in the fun. A light lunch will also be included! Call 8876 3336 for details. 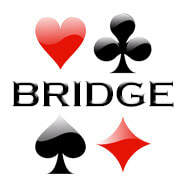 The FiSH Bridge is one of our longest running and most popular activities. The group meets at Barnes Green Centre on a bi-weekly basis on Thursday afternoons from 2:00pm – 4:00pm. New members are welcome, but it should be noted that this is not a group for beginners. Call 020 8876 3335 for further information. Do you need someone to talk to? Do you need someone who will listen? The FiSH Coffee Corner provides the opportunity for a cup of tea or coffee and either a confidential chat with a volunteer who has been trained to listen or just good company. The Coffee Corner meets in the Sheen Lane Centre (just inside the big doors outside the library) on Wednesdays, Thursdays and Fridays from 10:30am – 12:30pm (but not on the first Friday of the month). You don’t need to make an appointment. Just drop in! For more information about the Coffee Corner ring 020 8876 3335. FiSH provides a door-to-door supermarket shopping service using accessible transport. Trips are taken to Sainsbury’s in Richmond, Tesco at Brook Green and Waitrose in East Sheen. Shoppers go on a regular bi-weekly basis on Tuesdays and Thursdays and a waiting list is in operation. We currently have vacancies on our shopping rotas. Please call 020 8876 3765 if you, or someone you know, would be interested in using this service. We all need a little help from time to time, whatever our age. We may find ourselves confined to home as a result of illness or injury, or because we are caring for family members. At such times, it can be difficult to get out to the shops… or to collect a prescription… or to get to the hospital for an outpatient appointment. For the elderly or frail, these things can be especially difficult as can a host of other practical tasks. For further details click here. The FiSH Helpline is open Monday to Friday between 9:00am and 12:00pm and the service is available to all FiSH members by calling 020 8876 3414. FiSH Lunchtime Concerts are open to all. A simple lunch of soup, bread, cheese and fruit is served during the concert. A minimum donation of £5.00 is appreciated to help cover costs. It is helpful if non-members of FiSH book in advance (020 8876 3765) to assist with catering arrangements. Door to door transport for FiSH members can be arranged by calling 020 8876 3765. For further details about forthcoming concerts click here. Did you know that you can hire a minibus and driver from FiSH? Call Deborah on 020 8876 3765 for further details. FiSH Outings are open to all members but are usually run on a ballot basis. Door to door transport can be arranged by calling 020 8876 3765. For details of forthcoming outings click here. The Retro Café is run by FiSH in association with the Alzheimer’s Society. It currently meets weekly in Barnes and twice-monthly in East Sheen and is aimed at those with memory problems and mild dementia. For further details please call Liz 020 8878 8100. Dance has been proved to be excellent exercise for those with Parkinson's, dementia or anyone who wants to keep fit. Friday morning dance classes inspired by Ballet Rambert are facilitated by a professional animateur. If you enjoy making music, the FiSH Choir could be for you! Singing is good for health and well-being as it can improve your breathing and mood. It’s also an opportunity to meet others and have fun. New members are very welcome and the only requirement is enthusiasm. We particularly need more male voices. The Choir rehearse twice a month on Monday afternoons at Barnes Baptist Church from 2:00pm–3:00pm. For further information please ring FiSH on 020 8876 3335. Talks are held every Tuesday at Barnes Green Centre from 11:00am – 11:45am. Coffee is available from 10:30am and the talks cover a wide variety of interests. Transport can be arranged for FiSH members by calling 020 8876 3765. For further details about forthcoming talks click here. Our Wednesday Walkers group is run by Andy Hughes. The walks sometimes start at Sheen Gate in Richmond Park and end at the Home Guard Club in East Sheen for tea, or we link up with the Friends of Barnes Common for an educational walk in Barnes. If you would like to stretch your legs in the good company of a group why not join the next walk? Men, women and dogs all welcome! Check the FiSH website for details or call 020 8876 3336.